Carl Radke is one of the most respected glass artists working in America. He is of course well known in the art world for playing an instrumental part in the late 20th century resurgence of lustre glass and is one of the few artists today who possesses sufficient skill to work in the exceptionally difficult medium. And now collectors of Carl Radke creations can own this this beautiful vase which is currently being offered for sale for just $1000 (or best offer). Entitled “Swimming Turtles”, this eye-catching art glass vase is in excellent condition and features blue and gray tones with mottled gold aurene, a crackled surface treatment and a pagoda shaped lid. 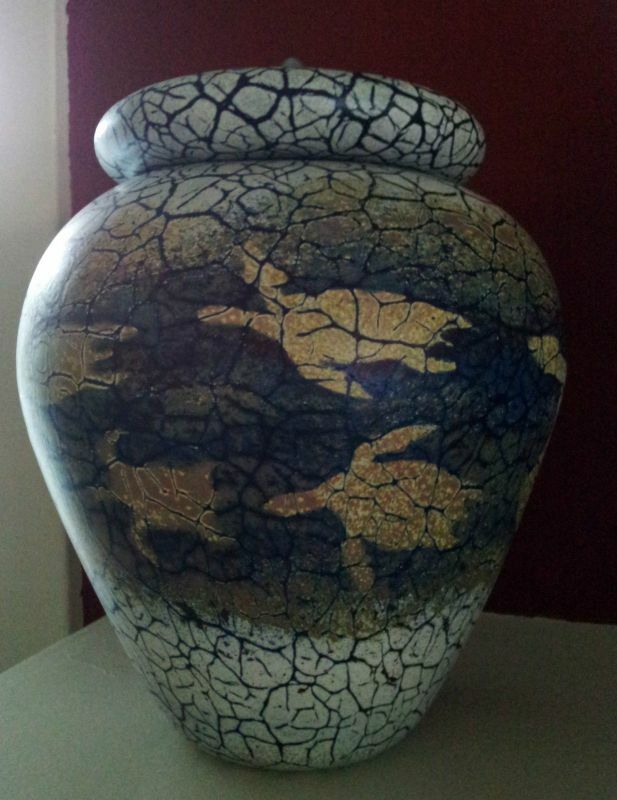 The vase’s design is of a large turtle followed by several smaller ones. Additionally the vase is signed by the artist and measures approximately 10-1/2″ tall and 8″ wide. 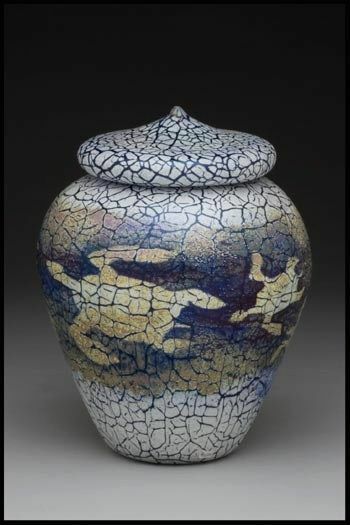 This vase was purchased in Harmony, CA by the current owner at Radke’s Phoenix Studios gallery. This exquisite vase is currently listed on eBay for a very reasonable price so don’t hesitate to procure it for your collection before someone else snaps it up!